Artecy Cross Stitch. 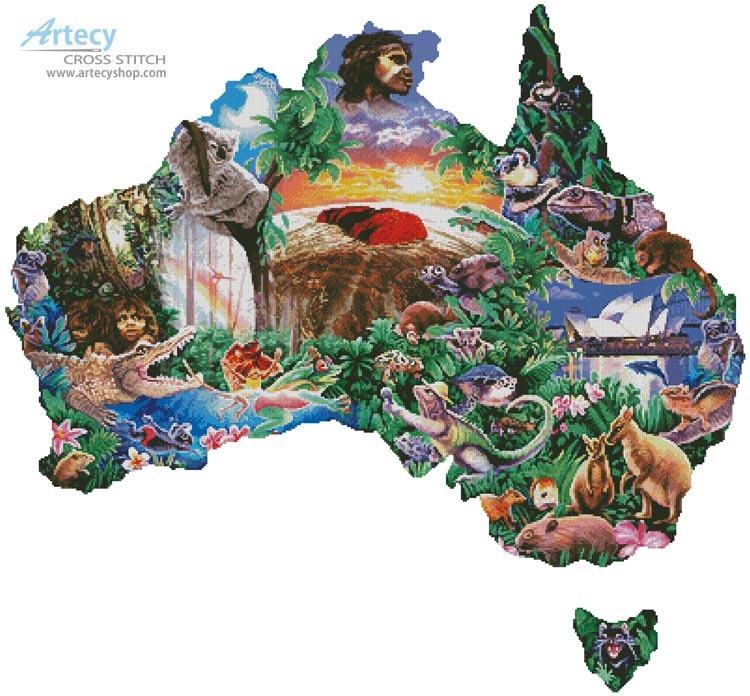 Australian Map Cross Stitch Pattern to print online. This counted cross stitch pattern of an Australian Map was created from beautiful artwork copyright of Steve Sundram. Image licensed through Interlitho Licensing.